Somehow you ignored the numerous mentions in the local and national media of the tax filing deadline, which this year was April 18. You were going to do your taxes, or at least file an extension, but life kept getting in the way. Maybe you had a tragedy in the family. Perhaps you were overworked and truly couldn’t find time to do it. Maybe you don’t have a very strong excuse, other than there was something good on TV. Whatever the reason, you missed the tax filing deadline. Now what? Will black vehicles soon pull up from the Internal Revenue Service to your home? Will you be whisked away to never be seen again? OK, you may not be fearing that, but it can be scary to think about what the consequences may be. Fortunately, we’re here to help. If you missed the deadline, read on to learn about filing your tax return late. Relax, sort of. Set your own deadline. OK, so you missed the tax filing deadline. You may get a penalty and pay extra interest, but it shouldn’t be too much, assuming you jump on this soon. So take a look at your schedule over the next week or two, decide on a day that you’re going to do your taxes, stick to that day and send them in. “Filing late is not the end of the world. Never filing is a bigger problem,” says Jef Henninger, a tax attorney based in Tinton Falls, New Jersey. “If you file a week or two late, it will cost you extra but it’ll be a lot better than filing a few months late. There really is no reason to panic. As for how much the fine is for not filing your taxes, it’s based on how much you owe. According to the IRS, the penalty for failing to file starts at 5 percent a month of your unpaid taxes, and failing to pay garners a .5 percent a month penalty. As the IRS mentions on its website, however, if both the 5 percent failure-to-file penalty and .5 percent failure-to-pay penalty apply during any given month, the most you’ll pay is five percent. And if you missed the deadline to file, but you don’t owe any money or have a refund coming, then, at least in most cases, there shouldn’t be a penalty, says Stanley Rose, the tax director at the accounting firm Baker Newman Noyes, which has several offices throughout Maine, Massachusetts and New Hampshire. That said, Rose advises you should still file as quickly as you can – because if you think you owe nothing but later learn that you do, you could be back to facing penalties. There’s at least one exception: when to not relax. While most taxpayers who miss the April tax filing deadline shouldn’t panic, you might want to start sweating if you have foreign investments. “Taxpayers who have foreign investments that require a 1040 [form] to be accompanied by other filings potentially are facing far more serious penalties for not timely filing those forms – forms 114, 5471, 8938, 8858, 926 or 8865. Many of these penalties begin at $10,000,” Rose says. If this sounds like your situation, Rose says you should file immediately. “Further delay could imply willful failure to file, and this greatly increases the chances the IRS will impose these penalties,” Rose says. Still, no need to panic too much. Despite being late, you still may avoid a $10,000 or more penalty. “The IRS is generally very accommodating of innocent failures to file these forms, as long as the oversight is quickly remedied,” Rose says. Whatever you do, don’t not file. Most tax experts you’ll meet will tell you that missing a tax filing deadline isn’t all that big of a deal. It’s continuing to miss it that can get you into trouble. “Possibly the biggest mistake anyone makes when they’re behind on their taxes is just falling further and further behind. The longer you wait to pay your delinquent taxes, the larger the interest charges and penalties will be. You could even face jail time,” says Josh Zimmelman, owner of Westwood Tax & Consulting, an accounting firm in New York City. Fortunately, it probably won’t come to that, says Michael Minns, a criminal tax defense attorney in Houston. He adds that not filing and paying your taxes are both misdemeanors. And there’s another possible outcome to not filing your taxes. 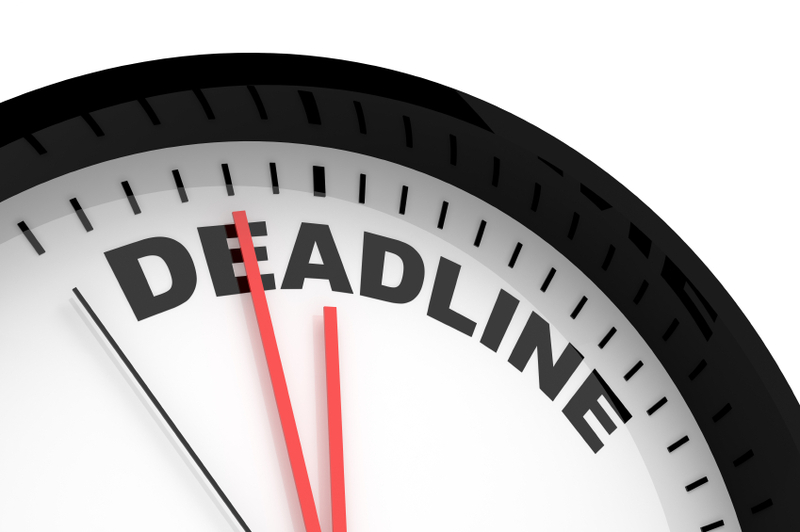 So if you’ve missed the April 18 deadline, don’t fret about it too much. Just file your taxes as soon as you can. The taxpayers who have missed the last couple of mid-April deadlines and who are still saying that they’ll get around to it eventually, are the ones who may have something to worry about.